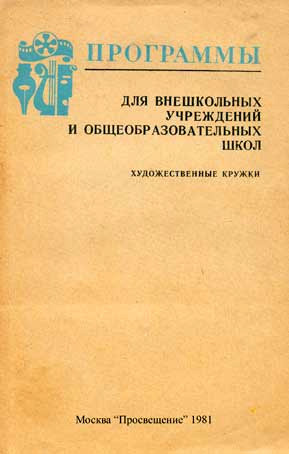 Collection of the USSR Ministry of Education "Program for non-school institutions and schools. Art Circle." 1981. Scanning to a PDF. Direct link to download the archive.